This subject is now even more important as informal trade appears to have taken on greater significance. It is important because, while it creates revenue losses for developing countries, it also contributes to local development, often in border regions far removed from major economic centers. It is therefore time to shatter a number of myths about informal trade based on recent statistical studies done on Tunisia, Nigeria, and central Asia. One often has an image of the merchant who earns a living from informal trade by crossing the border by car or on foot with fruit and vegetables. It is true that in that case, the revenue generated for these smugglers is often barely above the poverty line. But for those who own cargo, informal trade is extremely profitable. In Nigeria, billions of dollars enter the country through smuggling . With operating margins over 50 percent, billions of profits are shared among the networks’ leaders, and this is also happening in North Africa and central Asia. This therefore allows persons financing informal trade to become politicians, such as A. Salymbekov in Kyrgyzstan, and to enjoy a degree of impunity. 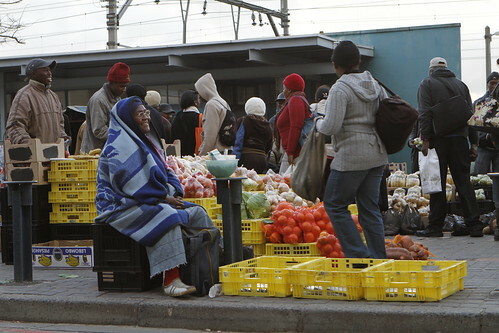 The authorities, customs in particular, often perceive informal trade as a whole. However, on detailed examination of informal trade practices, one notes that informal trade reproduces essentially the identical continuum of practices as formal trade (Benjamin and Mbaye 2012 ). Thus, some importers can be considered to be "professionals," that is, paying virtually all customs duties or being subject to the same levels of taxation as formal importers, while on the other end of the spectrum, there are importers who simply rely on personal relationships with customs officers and make "deals" by negotiating taxation levels that are very low or pay no taxes at all. It is true that given the relatively low volumes of informal imports, informal trade can hardly explain the problems associated with customs revenue in developing countries. Nevertheless, proportionately, as it is often subject to tariff peaks or excise taxes, this trade could potentially earn a sizeable share of revenue. Thus, in Tunisia, it is estimated that imports represent 5 to 8 percent of total imports, but at least 12 percent of customs revenue . Similarly, secondhand clothing in Cameroon, an important informal trade sector, is one of the main sources of customs revenue in the country . The authorities often explain that smuggling results from a lack of equipment and materials at the border, and therefore wish to have scanners and cameras, and even go as far as asking for the placement of landmines at the border or the installation of barbed-wire fences, as is the case in the Fergana Valley in central Asia. Although one scanner is installed at the Tuniso-Libyan border, informal trade is far from being contained. When prices differ by a factor of 3 to 4 at a minimum, the informal importer always finds obliging customs or security officials through the payment of bribes. Nick Megoran  et al. (2005) have also shown that despite the existence of barbed-wire fences and cameras at the border between Uzbekistan and Kyrgyzstan, the flow continues to thrive as a result of the collaboration of a number of local oversight authorities. One often mistakenly believes that it is the importers who control informal trade, but this is not the case. It is, first and foremost, the customs agents who are responsible for customs clearance, who pull the strings, because they are the ones who know the procedures (or not) and carry out import procedures on behalf of the importer, as was demonstrated in Cameroon (Cantens et al. 2014 ). So, if there is a better understanding of how informal trade functions and its scope, what can be done about it? First, it is important to have an even better understanding of the practices and generate information about them, because there are practices that are specific to some business sectors, which are often explained by the level of profit and the level of taxation. It is important that customs and security services make a much greater distinction between the treatment of importers and agents. However, to accomplish that, it is crucial that these officials try to better understand and become more familiar with them. When possible, it is important to try to identify the networks’ leaders who pose a threat to the integrity of the institutions and grow rich at the expense of consumers. Finally, it is necessary to strengthen hierarchical oversight within institutions such as customs. In conclusion, neither noninterference nor indiscriminate repression is in any way the solution. But in challenging political contexts, this is often easier said than done.